How To Make Colloidal Silver | Simple Steps on Making Colloidal Silver! If you are on a mission to make your own homemade colloidal silver, then you have come to the right place! Do you know anything about this product that you seek to make at home? Well, let us give you a brief on it. 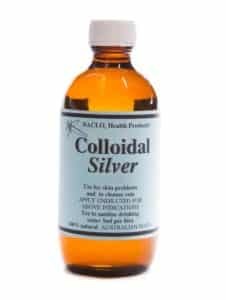 Colloidal silver is a suspension that is composed of submicroscopic metallic silver particles floating in a colloidal base. This approach is in no way a modern alternative to medicine, seeing as the people that have lived before us have used this method as a form of treatment for many diseases like colds and flu; and it has also been used as an antibiotic in the 1920s and 1930s. Although, as the years have gone by, there has been a drastic decline in its use, and advocates for this form of treatment claim that it is as effective as any modern form of antibiotic. According to some, colloidal silver is an effective medication that can be used in the treatment of fungus found in the body, and it also has the potential to kill other diseases and viruses, and bacteria. This claim is backed by users of this form of treatment who claim that it is as effective for them as it is touted to be. Apart from its other above-mentioned uses, it can also work against acne, sties, and rashes. It can be taken orally, as the body quickly digests and absorbs it, making it a rather effective and quick medication. Before you settle on this as a form of treatment for you or anyone close to you, you should first consult a doctor for your own safety. You would need to know the pros and cons before you embark on the use of this treatment. Now that all those are out of the way, let us talk about how you can make your own colloidal silver at home. After making your colloidal silver, you would need to place it in a safe spot that is far from light because colloidal silver is known to be very sensitive to it. For this reason, you should make sure to use an amber-colored container that would help store it, as this will keep wavelengths from reaching your colloidal silver, however, you still get to keep an eye on the contents of the container. If you are on a budget, you do not have to worry that you would need to disburse a large amount of money for your containers. You can find many affordable ones in stores, both online and offline. And you can always get them in bulk, too, if you like. The first thing you need to do in making your colloidal silver is to connect your batteries in a series by attaching the positive end of one to the negative end of the other. But since the 9-volt batteries are naturally joined, you would not need to make use of alligator clips. What you will notice is that there is a positive terminal that is on the left, and the negative terminal can be found on the right. What you would need to do here is to fix a set of alligator clips to each of the terminals, and at the end of the clip where the negative terminal is connected, you can start to clip it onto your current regulator diode before you attach it to another alligator clip that can be found on the other side of this diode. Connect the two pieces of silver to your leads, immersing them in the water, making sure that you let them rest at the base and the side of your colloidal silver container. Ensure to not make them touch so you avoid a short circuit. As you let the silver pieces rest at the base and the side of the colloidal silver machine, make sure you do not let anything else get into the distilled water. Do not forget to not make the alligator clips not fall into the water, if not, they will start shedding off their particles into your solution. On your first try at making a colloidal silver, try to pay close attention to the water and watch what happens. Typically, it takes about a few hours before the silver particles start to saturate the water, and this depends on the amount of water you put in your container. What you will notice at first is that the water will turn into a slight yellowish color, and this you can see easily if you put a piece of paper under your container, as this will highlight the color. If you keep a keen eye on your solution for a few hours, the next time you will be making a colloidal silver, you will know just how much time it will take you to accomplish that, and to make this sort of easy for you, you could set an alarm. Once the first batch is ready, you can then pour your solution into one of the amber-colored containers that you set aside earlier. And this, is how you make a colloidal silver. When it comes to using it, you can choose to go with the sublingual method, although, some choose to use it orally. Although this is also a very effective method, it certainly isn’t necessary, because about 10 percent of ingested silver will be stored in your body, while the remaining 90 percent will be flushed out. If you choose to opt for the oral method, then we would advise that you slosh it around in your mouth for about 10 minutes. This method is safer and more effective, and you would not need to worry about depositing silver particles in your body. Using it the sublingual way, the silver particles will still travel around your body, but you would not have to worry about having particles in your body after use. You can also choose to apply it on wounds as a form of disinfectant, or you could even use it to clean around your home. Never store your colloidal silver in a refrigerator. You should never use any other chemical materials inside it other than silver; make sure not to add salt. Put nothing in the water, if not, you will be creating a silver compound.